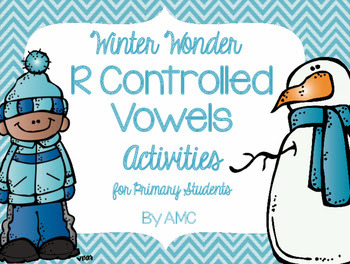 This week was chock full of R Controlled Vowel activities and some fun snow-themed learning too! I am linking up to share a bit about our week with Doodle Bugs Teaching for her Five for Friday linky. First we used these two videos as intros to our learning. My kiddos really loved this one from Electric Company. While this one makes me happy. 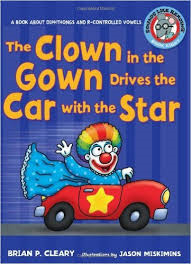 We also read these two books. 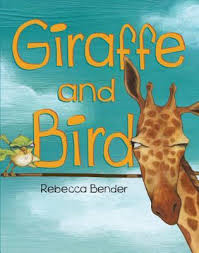 I had already planned to read Giraffe and Bird because 7 of my students chose to learn about and write about giraffes for our adopt an animal project and I thought it would be a nice connection - but then I read the title and the book and there were loads of opportunities to find r controlled vowel words. And of course this book is chocked full of opportunities to find words!! Love Brian Cleary books. Have you checked out his website, lots of fun stuff to explore. and then made all new activities. First up picture and word cards for Write the Room and Match the Card activities. 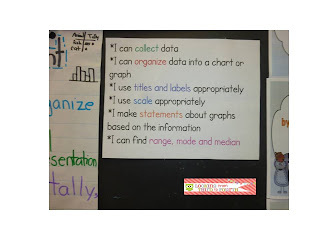 I also made follow up worksheets to help reinforce our learning. You can check out my new R Controlled Vowel pack by click on the pic below. This week we had some "Snowball Fight Addition" fun. While I have used "snowball fights" to practice skills for a number of years this was the first time I have used it with Grade Ones. Well.....they loved it.....but it took some time and support to explain how to have a snowball fight in math class. First we used G.O.O.S.e paper (Good On One Side) and made number cards (which involved folding and writing numbers big enough and neatly enough that we could read the number). Then we had to cut the paper. Then scrunch the paper into snowballs. This is the point that they became very intrigued. Next we had to stand and throw our snowballs. We all aimed for our carpet learning area. Excitement level was getting a little out of control by now. This next part is when the lovely teacher (me!) had to step in and set some guidelines....the collecting of two snowflakes to take to our desk , record as an addition sentence and solve. The first time we tried it was like the pieces of paper were gold nuggets. After that students waited for their class number to be called to pick up snowballs. But big fun and big practice was had by all (well maybe not my teaching partner - who got to listen to the loud voices with none of the fun learning). I also made this pack to work on our addition skills. Click on the pic to check it out. Did you watch it??? Really, or are you just saying that? Okay I will stop harassing you know - have a great weekend!! See we did make snowflakes!! It took awhile and there were lots of frustrated kiddos but we persevered and the look on their faces when they opened up their snowflake....priceless. It was also a great opportunity to reinforce the importance of looking and listening during oral instructions. AND it really showed how some of my sweet kiddos really do have poor fine motor skills. Folding and creasing....stressful. Cutting through folded layers of paper...near impossible. But once they got it they were bitten by the snowflake bug and wanted to make one for every person they had ever met. In addition to our art and writing we have been using snowflakes in our math. We are trying to consolidate our understanding of addition and addition strategies. 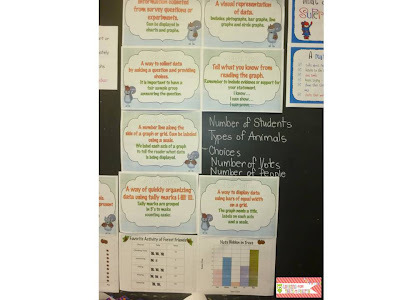 My class has a wide range of understanding and application of addition strategies. I really needed to target certain students and certain skills. 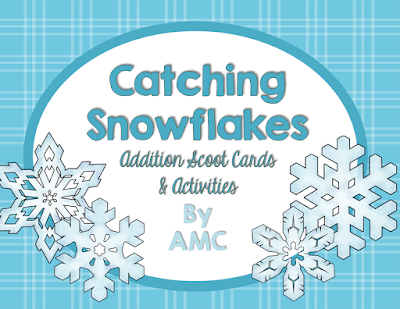 So I made catching snowflakes addition task cards. I made a variety of task cards that address certain skills. I use the cards for Scoot activities and as a math rotation activity, but I mostly use them for small group and individual instruction. Having different cards that address different skills lets me target my instruction and talk to my students about how they are finding their answers. When working with my students I give them a card and ask them to solve it. Then I ask them to explain how they solved the problem. Some of my students have great personal strategies and I just mention another one that they may want to try too. Some of my students need to see some modelling of a strategy and I do that with wipe-off marker right on the spot. Some other students need help with the counting on strategy - like my friend in the middle pic who did not start with the big number and then count on put whichever one was on top. I made follow-up activity sheets for each strategy for extra practice. I use an accordion file to hold all the materials by strategy. 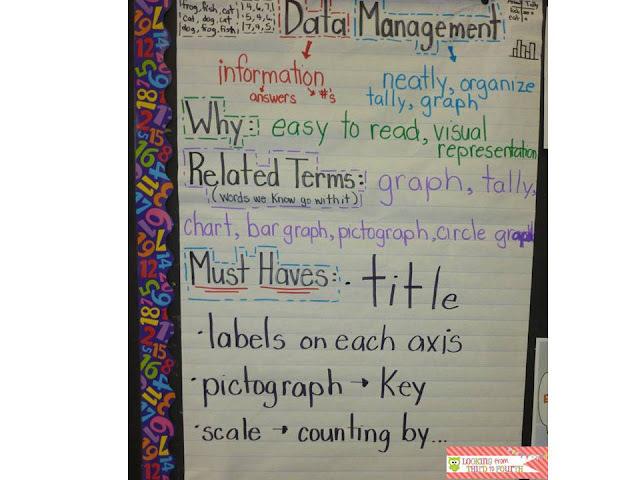 This lets me quickly pull what I need to put out for a scoot activity, in a center or for my small group. These are my favorite/least favorite cards. I love them because I know my kiddos need a solid understanding of how to make 10. I don't love them because when I pull them out I find some students who are still working on this skill. But keep working on it we will! I often use them as a Ticket out the Door or as a time filler if we have a few minutes between activities. I made a few tools to go with the cards like these ten frames with snowflake counters. We have also been working on applying our addition skills to problems. We have just started open problems and.....so far so good. You can pick up the ten frames and 2 sample problems by saving the pics below and inserting them into your own document. And you can check out all the resources by clicking the picture below. They are on sale for a limited time for only $1.00!!! Yes, Sunday night planning panic has set in. Yes I am going to watch Downton Abbey in about 40 minutes. Yes I have a bazillion things to be doing but that seems to be the only time that I think it makes sense to sit down and blog!! In our classroom we are deep into all things snow! So of course we had to make the adorable craftivity of kids catching snowflakes. We used the template from A Year of Many Firsts and just as she recommended we used scrapbook paper for the scarves. The picture above is before they caught snowflakes....well before we added the snowflake to the tongue. 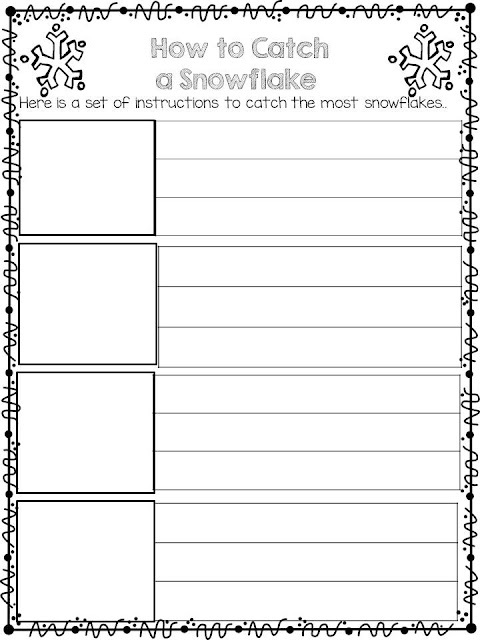 Now, this craftivity is super adorable but I also needed some writing to go with it - I had taken down all of our work before Christmas and our room was in need of some kid work....so we wrote a quick procedural text on how to catch a snowflake. First we talked about how we could catch a snowflake, which body parts we would use to catch a snowflake, when the best time is to catch a snowflake etc. Then we acted out catching a snowflake (unfortunately, it was not snowing so we could not go outside and try it....but that would be awesome). Next we reviewed what we knew about procedural writing, what words we would need for our writing, what to put in the boxes to help our readers etc. Finally we wrote our texts. See what I did there....I wrote out our procedure!! I let them write their directions however they wanted. We all started with the general ideas of getting ready and heading outside while it was snowing. Some chose to write about using their tongue others their hands. We did the craftivity after our writing. 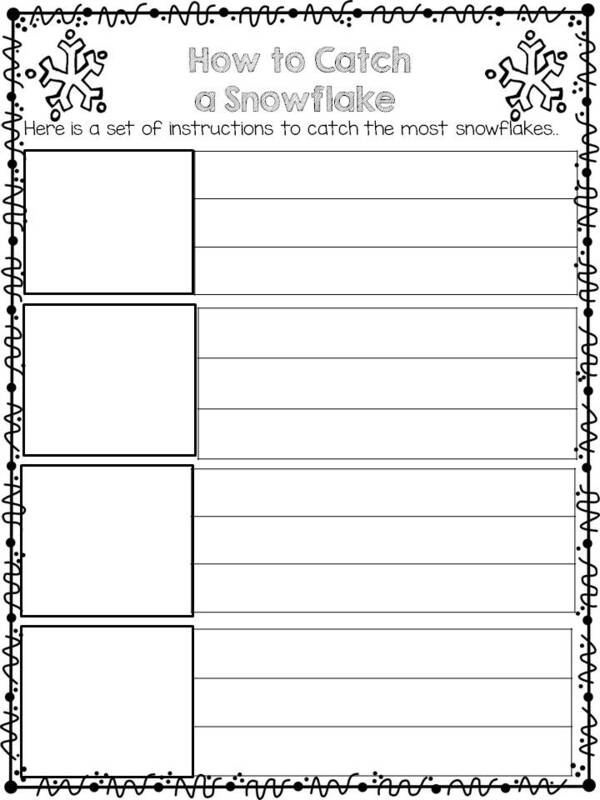 Next time I think I would do the craft first and base our writing on the actions being shown in the person we made....go outside, tilt head back, open mouth, stick out tongue...catch a snowflake. Oh well, live and learn.